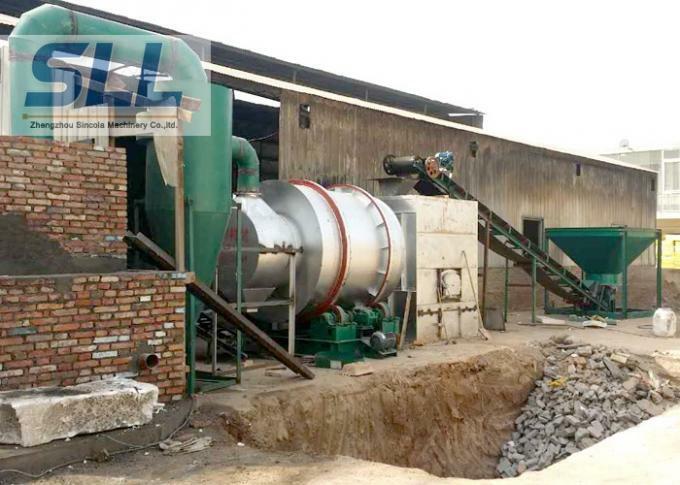 Sand dryer is a kind of processing large amounts of material drying machine. 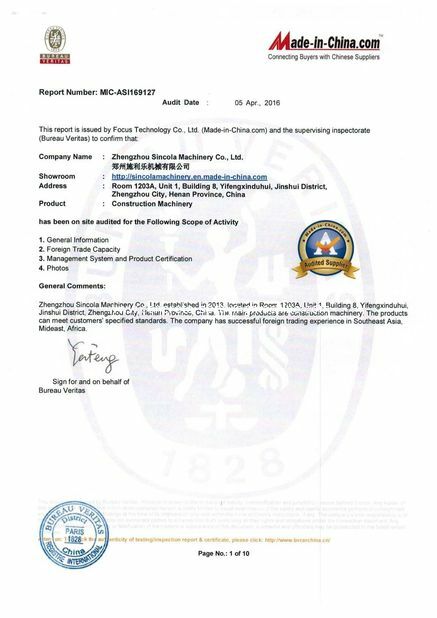 Due to the reliable operation, good adaptability, high yield, widely used in metallurgy, building materials, food, chemicals, coal, medicine and other materials. Sand dryer belong to rotating cylinder dryer. Commonly adapted to the powder and granular materials, can also use the mixing material approach drying viscous paste-like material or high water content materials. 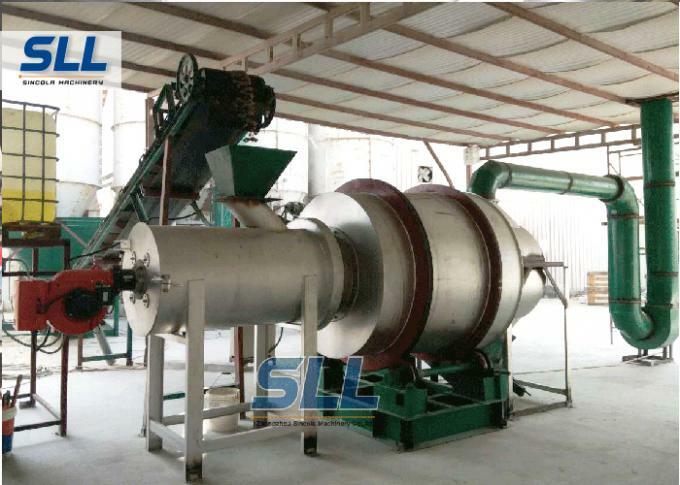 Especially dry sand, SINCOLA sand dryer effect is excellent. 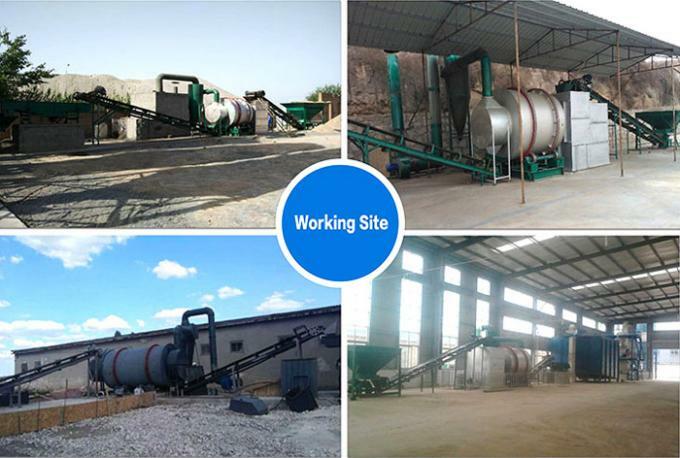 Sand dryer with advantages of great capacity of production, wide application, small flow resistance, convenient operation, etc. feed bin, weigh conveyor, thermal rotary dryer with burner (natural gas, vaporized propane, light or heavy oil), discharge conveyor, cyclone, baghouse with ID fan, connecting ductwork, controls and a control house. Sand sent to the hopper by the belt conveyer and bucket elevator, and thl angle of materials, so that material flows into the sand dryer. Dryer cylinder is a rotating cylinder that has a certain inclination with horizontal linen through the hopper feeder into the feeding pipe, thereby entering the feeding end. The feeding pipe inclination is greater than the naturae. Material from the high-end to join, heat carrier from the low-end entry, countercurrent contact with material, also have heat carrier and material flow into the cylinder together. With the rotating cylinder materials by gravity run to the lower end. Wet material in the cylinder body to move forward, heat by heat carrier directly or indirectly, so that the wet material to be dried, then at the discharge end through a belt or a screw conveyor send out. 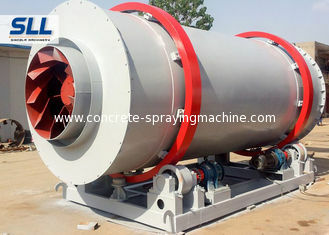 In sand dryer inner wall of the cylinder is provided with a copy board. 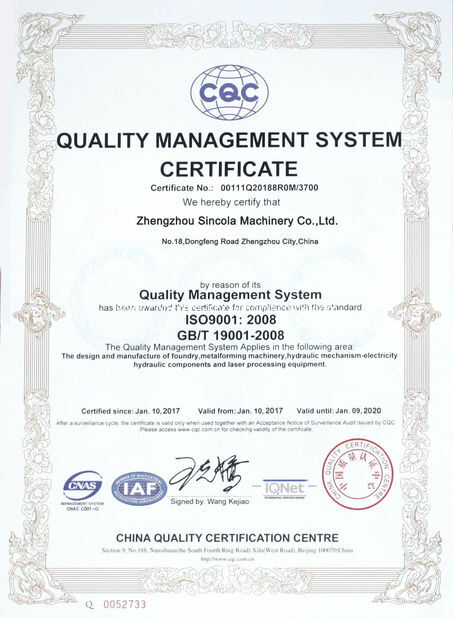 Its role is to bring up material then down, increasing the contract surface of material and gas flow, in order to improve the drying rate and promote material progress. Heat carriers are generally divided into hot air, flue gas. Heat carrier through the dryer, then the material in the gas was collected by cyclone dust collector. If need to further reduce the exhaust gas dust content, also should dust by the bag dust collector.